This Deal is Still Available. Head over to Living Social, a new daily deal site. 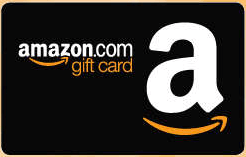 Create an account and you’ll be able to snag a $20.00 Amazon Gift Card for just $10.00. The site is moving really slow. I was able to get through after a couple of tries. I just found out that Amazon owns Living Social. So if you had doubt about the site, it is legit.